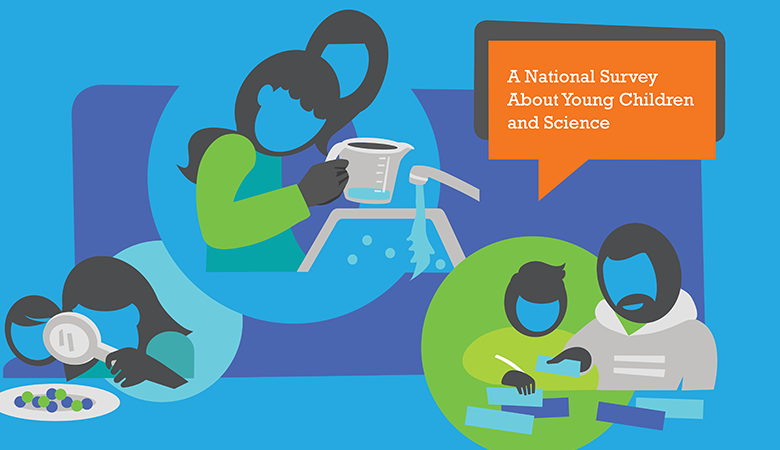 This report presents the results of a first-of-its-kind national survey of parents, who were asked about the types of early science educational activities they do with their young children. It also includes a follow-up qualitative study, focused on low-income families, which sought to illuminate parents’ survey responses. The purpose of the study was to provide new insights on the ways in which parents help their young children learn as well as new information on parents’ beliefs and practices related to early science learning and the use of learning media. Nearly all parents, regardless of income or education level, think it is important to help their young children learn, especially social skills, literacy, and mathematics. Most parents say they are confident about their ability to teach their young children literacy, math, and social skills, but fewer parents are confident about science learning. Seven of 10 parents say that knowing what young children need to learn about science, and having ideas for doing science with everyday materials, would help them. For more about this report, read "To Boost Science Learning, Start Early." This is the summary of a report that presents the results of a first-of-its-kind national survey of parents, who were asked about the types of early science educational activities they do with their young children.